Middle East respiratory syndrome corona virus (MERS-CoV) is becoming a major health concern in Saudi Arabia resulting in an associated high case fatality. The rapid deterioration of vital organs functions and high mortality rate seen in MERS-CoV has been observed previously in Epstein-Barr virus (EBV), severe acute respiratory syndrome caused by a coronavirus (SARS-CoV) and avian and bird flu-related hemophagocytic lymphohistiocytosis (HLH). There are many reports of successful treatments for severe cases of EBV-HLH using HLH-94/2004-type immunochemotherapy with etoposide as a pro-apoptotic agent. The use of immunochemotherapy in severe MERS-CoV-related HLH merits an urgent investigation in a well-designed clinical trial. Aim: Acute myeloid leukemia (AML) is a type of malignancy that is associated with a malignant alteration of normal hematopoietic stem cells in the bone marrow. The aim of this study was to study the demographics and pathological subtypes of AML, evaluate the response and outcome to different treatment modalities. Methods: This was a retrospective study of adult patients diagnosed with AML at King Abdulaziz Medical City - Riyadh, between 2006 and 2013. Data were retrieved from patients' files, electronic medical files and laboratory information system. Results: 91 patients were included in the study with a male dominance. M1 was the most common French-American-British subtype with 23 (32%) cases. Patients with intermediate-risk AML were the most common subgroup with 41 (48%) cases followed by high and low-risk subgroups, 29 (33%) and 16 (19%), respectively. 74 patients were treated with intensive chemotherapy, and 17 were on palliative chemotherapy or best supportive treatment. Remission rate was found to be 84% in patients who received induction chemotherapy while 41% of them relapsed. 93% of low-risk patients underwent complete remission (CR) compared to intermediate and high-risk patients (79% and 87% respectively), but it was not statistically significant (P = 0.4). 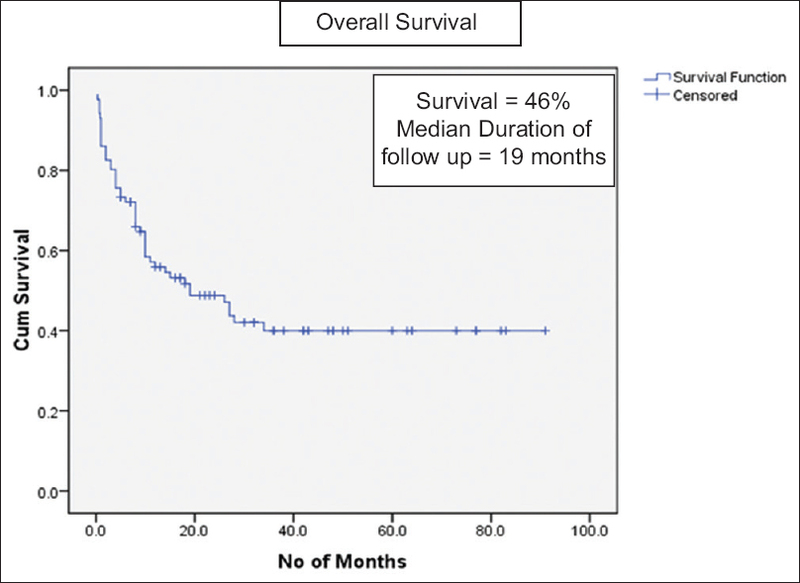 The median follow-up was 19 months, with overall survival (OS) of 46% for all groups. The low-risk patients had the highest OS 57% compared to intermediate and high risk (52% and 36%, respectively), but it was not statistically significant (P = 0.3). 18 patients had been treated with allogeneic stem cell transplant and at a median follow-up of 17 months posttransplant the OS was 72%. Conclusion: This study shows M1 subtype to be the most common of AML in this population. In addition, the CR was better with similar survival rate as compared to other local and internationally published experiences. These results, albeit with its limitations, need to be confirmed in a prospective clinical trial or national disease registry. Objectives: Many Iranian studies have reported the high prevalence of osteoporosis and low bone mass in patients with thalassemia. Considering the importance of prevention in lowering the risk of osteoporosis and its complications in patients with thalassemia major (TM), the present study was conducted to assess the knowledge, attitude and preventive practice (KAP) of a group of TM patients regarding the importance of calcium and Vitamin D supplementation and its role in preventing osteoporosis. Materials and Methods: The cross-sectional study was conducted on all adult beta-TM patients (200) who visited the Specific Disease Center, in the Iranian Capital, Tehran. A four-section questionnaire on demographic, lifestyle, and socioeconomic information as well as their KAP about the importance of calcium and Vitamin D in preventing osteoporosis in TM patients was filled out for each patient. Results: About 63%, 62%, and 33% of those with poor knowledge, attitude and practice towards the importance of calcium and Vitamin D were not physically active, correspondingly. There was no association between age and gender and knowledge or attitude score. Conclusion: While a large number of the studied population consumed Ca and Vitamin D supplementation, their poor knowledge about the importance of these supplements points out the need for educating TM patients and their families about the importance of calcium and Vitamin D supplementation in preventing osteoporosis. As acute promyelocytic leukemia (APL) has the highest curability among different acute amyeloid leukemia (AML) subtypes and requires a unique form of treatment, it is important to quickly establish or exclude the diagnosis of this subtype of leukemia. Furthermore, accurate and rapid diagnosis of APL is critical due to its association with disseminated intravascular coagulation. 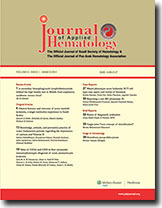 Patients and methods: This study was conducted on 100 newly diagnosed AML M0-M3 patients and a comprehensive flow cytometric immunophenotypic (FCM IPT) analysis of their peripheral blood (PB) and/or bone marrow samples with the inclusion of CD18 and CD11a monoclonal antibodies was done. Results: Cases of AML-M3 did not express human leukocyte antigen (HLA)-DR, CD11a and CD18, a highly significant different finding compared to non M3 cases (P < 0.001). The positive predictive value (PPV), negative predictive value (NPV), specificity and sensitivity of HLA-DR, and CD34 negativity (alone and in combination) were lower than the PPV, NPV, specificity and sensitivity of the combined negativity HLA-DR, CD11a, and CD18 antigens. Conclusion: Testing for CD18 and CD11a in conjunction with routine diagnostic FCM IPT panel will append extra diagnostic power to FCM IPT in the differentiation of difficult cases of AML-M3 from AML-(M0-M2). Mixed phenotypic acute leukemia (MPAL), classified under acute leukemia of ambiguous lineage, pose diagnostic dilemma due to multiple lineage-specific antigen expression. World Health Organization has laid down strict criteria for assigning >1 lineage to a single blast population. Most reported cases of biphenotypic acute leukemia belong to myeloid/B-cell lineage or myeloid/T-cell lineage. However, MPAL with B-/T-cell phenotype is very rare. A 5-year-old girl was admitted with fever, petechial rash, pallor, generalized lymphadenopathy, and hepatosplenomegaly. 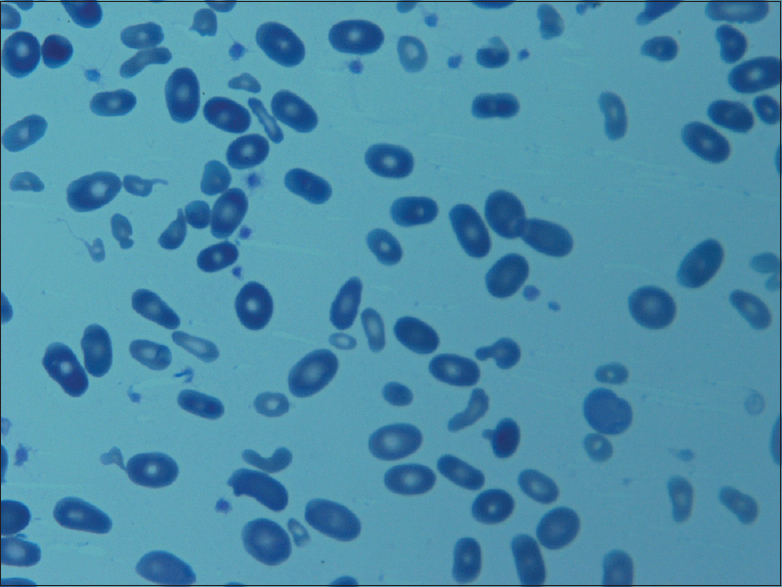 Complete blood counts revealed leukocytosis, anemia, and thrombocytopenia. Bone Marrow Aspiration showed 97% blasts which were negative for myeloperoxidase, and nonspecific esterase. Immunophenotyping showed a single compact population of blasts which expressed CD19, CD79a, CD22, cytoplasmic CD3, and CD7. Thus, flow cytometric immunophenotyping helped to establish a final diagnosis of MPAL: B/T-cell type. Of all blood group systems, Rh is one of the most important blood groups, which its compatibility is one of the essential principles of transfusion. 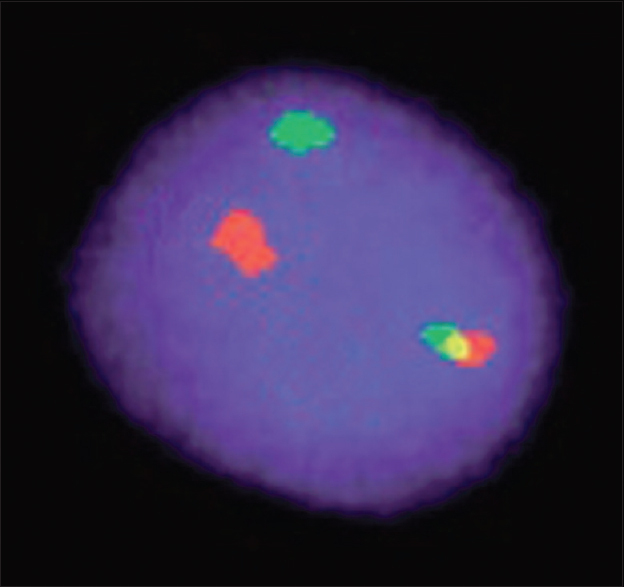 Two genes (RhD and RhCE) locate on chromosome 1, which encode the Rh proteins. RhD is an immunogenic antigen. 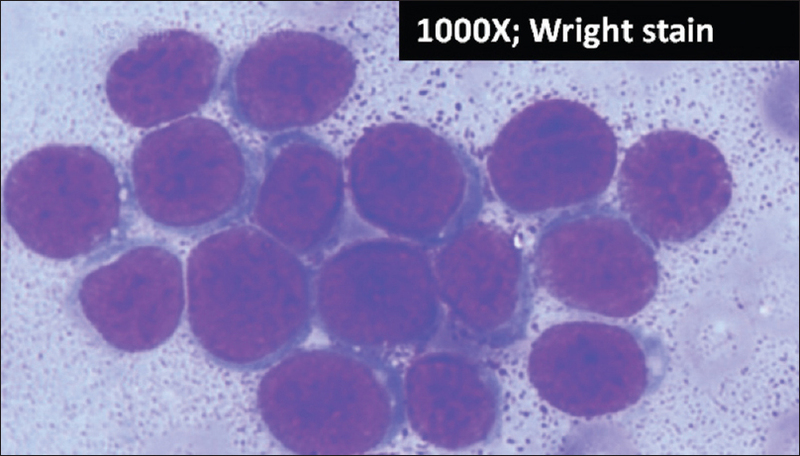 A 49-year-old man was studied in this report, who received two O + packed cells 1-time without molecular compatibility. He was hospitalized for kidney transplantation in hospital and reiterative mismatch crossmatches were seen. 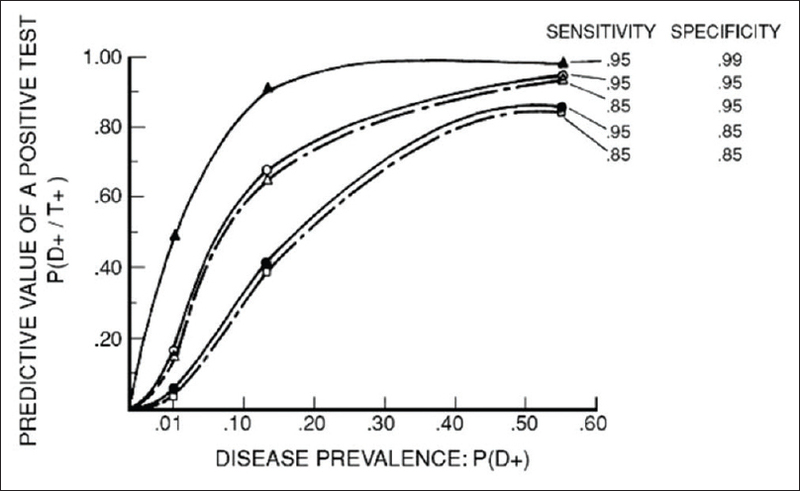 Serologic tests of patients show a rare Rh phenotype (D-), with a frequency of 1 in 10,000. Screening between family members was done to find a compatible donor. Over the past decade, the introduction and development of new diagnostic techniques have greatly accelerated. However, the methodology of diagnostic research is poorly defined compared with therapeutic and effectiveness type of research articles. Diagnostic researches usually address the value of new medical tests, which will be uses for screening for risk factors, or for assessing prognosis. Research questions like "How does one know how good a test is in giving the answers you seek?" or "What is rule that one can apply to judge which test is better in diagnosis" are the questions you might formulate for this type of research. Background: The hallmark of hemophilia is hemarthrosis. All efforts must be made to early diagnose joint bleeding as soon as it occurs and treat it not later than within 2 h of onset by infusing the appropriate clotting factor. This will prevent the accumulation of blood in the joint as well as inﬂammation and a potential hemophilic arthropathy. Recurrent bleeding prevents the joint from regaining its range of motion, muscle strength, and normal appearance. These changes become permanent, leading eventually to osteoarthritis. A bleeds joint requires urgent and comprehensive management, especially in young patients, if permanent damage is to be prevented. Methods: The author conducted a comprehensive review and synthesis of the relevant literature. The author reviewed all compiled reports from computerized searches. Searches were limited to English language sources and human subjects. Literature citations were generally restricted to published manuscripts appearing in journals listed in Index Medicus and reflected literature published up to July, 2013. Results: The aim of this study was to introduce the new criteria (joint at risk) for early identification of "bleeds joint" for early diagnosis and effective management to prevent the joint to become chronic synovitis "target joint." Conclusion: The new concept of identifying "target joint" in this study is aiming to prevent the joint of hemophilic patient to progress to stage of chronic synovitis "target joint" by early identification of bleeds joint.